Dose Adults One teaspoonful thrice daily. Children Half teaspoonful thrice daily. Composition : Guaicum-Q,Cimicifuga-Q, Ledum-Pal-Q, Nyctanthes Arb-Q, Colchicum-A-Q, Hymosa-Q, Abrotonoum-Q,Sugar Syrup Q.S. 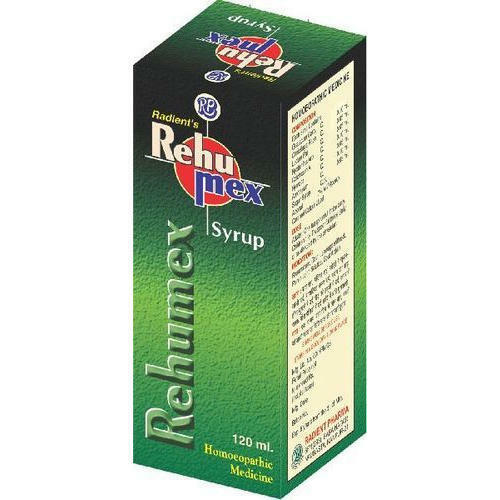 Remark : Use Radient’s Rehumex Syrup along with Radient’s Mikoil (external). Rs. 200 per piece for 450 ml.